As a premium hosting provider in Curacao and its first Cloud Facility, we often have enquiries from new start ups wanting to get going from here. We get contacted simply because we offer reasonable rates and can get our customers up within minutes of payment. What has become a common theme with some of these startups is that many of them are writing their own gaming software. The attraction to Curacao is to do with the cheap gambling licenses and its location to the US (for when they open up their doors) as well as to South America. This may seem like a great place for a new software developer type slash gaming company to get going from... but there are pitfalls. The licenses are indeed affordable, but the surrounding costs are no different to any other jurisdiction. What you save on license fees you are going to cough up in all sorts of other areas and sometimes you will be paying a premium for them. So this is a guide based on my experience and my recommendations from 14 years in the industry, having run my own gaming companies, written my own software, partnered with many different entities, built hundreds of gaming sites, the advice I have is not earth shattering, but it may just save you from going bust before you have a chance to really get started. 1. Decide who you are? Are you the butcher, the baker or the candle stick maker? If you want to be all of the above, you better have a big budget and a pretty sound business plan or a large pre-existing customer base. There are a lot of gaming companies out there who have tried to be it all and have failed miserably. Most go out of business within the first 12 months due to unsustainable costs, unforeseen competition, or simply a lack of support from the industry. So if you are a gaming software developer rather be the best gaming software developer you can be and team up with the best gaming operators you can find. The benefits are simply that you are not tied to the costs of running a gaming company, which will be your biggest challenge. If you had dreams of owning your own brand and seeing your site up in the bright lights, all is not lost... you can achieve this dream and without the liabilities that will bankrupt you. Many bright young developers with skills that far outreach many of their counterparts come to Curacao to realise their dream and end up being scuttled by one of the many problems in the gaming ocean. And when it came to launch he could not accept a single payment. In fact, he only had enough cash to keep going for six months and during that time not one payment processor came to the party. Its not that they did not want to, it just takes time and sometimes for no apparent reason it all falls apart. This is the hardest part of gaming... accepting payments from your customers. And even if his free players could pay, it would likely only have kept his nose just above water... A sad story... had he been smart, perhaps less greedy, he would have a very nice, organically grown business today built without the hype or the bells and whistles. There are many pitfalls from scammers hitting your sites, running cards, huge chargebacks and their associated fees, to a lucky player winning it big and you do not have the cash to pay them... You won't be the first new casino for this to happen to and you wont be the last either. Your responsibility at the end of the day is to manage your business like a business, manage your players expectations and ensure you keep everything ticking over. To do this, it is important to know what your role and your responsibility is. If you know that, the rest is easy. I am an operator, I am not a developer. I have hardware, licenses, companies, bank accounts, multiple payment facilities, company management, software vendors and lots of customers. Thats my role, I am not trying to be a developer or a white-label or an affiliate. I know my role, my job and my focus, thats why I have been around for a long time. Quietly ticking over, doing my thing. My Job is to ensure that the ecosystem stays afloat. Customers are paid their winnings, card companies do not charge too much, customers are properly vetted, scammers are kept at bay, hardware stays online and all bills are paid. You, like many people before you, think you have the next great idea. And you may really have it, no judging here. The point being is this, the odds are against you. So you must decide what it is you want? Is your goal to be rich quick or to have a long term business? In my opinion, a casino is just another business. It has a product, customers and competition. If you look after your product and your customers, it will look after you. In this industry, a big part of this is not being greedy. If you are greedy, you are no good for the industry, and certainly no good for the people who use your service. And I can assure you there are plenty of those casino's out there who owe millions to their customers and amazingly, are still online. Roll the dice and take it all on. If you have the budget (or an investor), the staying power, and patience then this is your option. You own the pie, you decide what to do with it. Get a license, sub-license or white-label and off you go. Bear in mind the problems you will face. 1. Your team will need to be paid (either out of your pocket, or your investors pocket). 2. Chances are in the first couple of years you will possibly earn just enough to cover your costs. So make sure you have the staying power... it is highly unlikely you will have your dream salary after a month or two... it just does not happen like that. 3. If you have an investor (mom or dad? ), a rich uncle?, or even an institution... chances are you may have had to oversell your dodo as a golden goose and they expect their gold laced dream "dividends" to come rolling in the moment they agreed to be your benefactor. And they will start to complain when they find themselves paying the fourth months hosting bills, corporate costs, and other shenanigans you forgot to add to you business plan. and dare I forget, Software developer. Simple yet sage rules. Lets go over each one of them. 1. If you try to take on too much, you will lose focus and end up creating something that is mediocre and it is likely the costs will put you out of business too. If you are a developer, be the best developer you can possibly be. 2. A big part of getting your game into reality is the infrastructure that makes it possible. From servers, to licenses to bank accounts. A new bank account costs 12 months of time... So you can either spend future time (i.e. yours) or past time (mine for example). 3. Ask for a reasonable return for your game and it is there for the long term. Ask too much and it will have a limited life span. This applies to sports books, horse racing, bingo software, casino software and stand alone games. You will need to find a good trust company to work with. They will start the process of setting up your company and getting your license too. Start the process of finding banks, processors, e-wallets etc. to work with. If we like your offering we setup a process to make your project available to other businesses and to pre-existing businesses. You may have an investor who is willing to foot the bill but again, it makes no sense. At the end of the day you still have a third party involved in your business who is likely a silent partner. 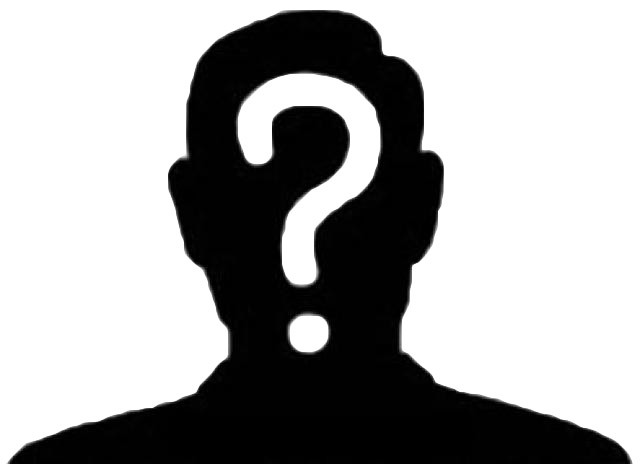 Why not replace this silent partner with an operator? Someone who brings a lot of value to the table from the start, who wont be bitching for "dividends" and who will play a vital role in the success of your system. Generally the software provider is paid a commission on sales. The more successful and established companies may receive 25% and the less established and organised companies may receive anything from 5 - 15%. Ask for too much and you may just find an operator dumping you for someone else or not promoting you system as much as he could. As a developer, there is nothing stopping you from signing up as a white-label. And because of your relationship with the operator, chances are you will get a very, very good deal. You may end up with your own brand, promoting your own games, at no risk of going belly up, with no "angel investor" and at significant percentage of the earnings (less than what you would if you owned the thing outright, and more if you had taken on an investor...). It is all swings and roundabouts... get in touch, we can help you get your idea online! Rule number 1: Only use an investor as the last resort. Trust me on this, you do not want an investor unless there is a very good reason to haThe point is, I had to learn the hard way. People are people and in the majority of cases, even if they are your best friend, they will not live up to your expectations or standards or behave the way you would expect. So if you can do it alone... do it alone, cut your cloth to fit, put your head down, focus and do as much as you can from the start. It may seem like a waste of time, but in the long run it will be a lot faster. Rule number 2: Don't tie yourself to un-workable contracts. Your bread and butter is getting your games out there and having people play them. Want to start your own casino? The smart way to start an online casino. GamblingTec offers a hosted casino solution for as little as €29.95 per month. Get your Cubeia casino up and running with us! 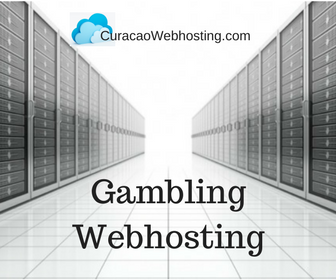 CuracaoWebhosting.com offers affordable gambling hosting and casino hosting from Curacao. We are based in ECP (the islands premier data center) and host a variety of local and international casino company websites. We work with BitCoin as well as fiat based casinos and would advise you to host your casino in a reliable offshore jurisdiction. No license, No platform, No problem! 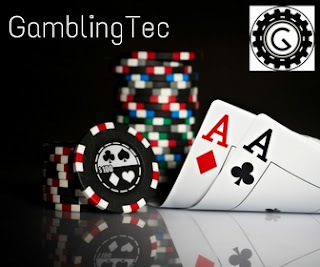 GamblingTec is your casino investment, partner. Get your dream casino up and running for as little as €30.00 per month.